These are amazing stocking stuffers for all the kids in your family! Check out the link on the Holiday Guide! Are you a fan of flip flops? Did you pass that gene to your children who love to wear flip flops in the Summer? I don't know about all of you but my daughter would wear flip flops all year round if she could, even if that meant her feet would be freezing in snow and ice. Animal Traks has the most adorable children's shoes that make cute little animal tracks as they walk! Orange: T-Rex, Red: Tiger, Light Blue: Wolf, Dark Blue: Bear, and Black I'm not really sure of. It's not really listed on the website as to what paw print it is you see above. But i'm sure the color is offered for the child to wear if they would prefer. The shoes are thick, with thick straps so they won't rip or tear easily and that's one thing I love. My daughter is a bit of a tom boy and although I'll beg her to put tennishoes on for scooter or bike riding, she will almost always be in her flip-flops. This way I know if she catches her shoe on her scooter, it won't rip causing her to fall. As you can see, we got the pink and red Tiger prints for our daughter to wear. I love the coloring, it's vibrant and beautiful and the shoe itself has a lot of cushion. It's very supportive, and that's really great for children because their feet are still growing and molding. Although there is nothing wrong in kids running around barefoot outside (I'm not one of those parents that tells a child to always wear shoes unless necessary) you don't want them to wear something so thin that they can feel hot concrete while wearing shoes. How adorable is this?! 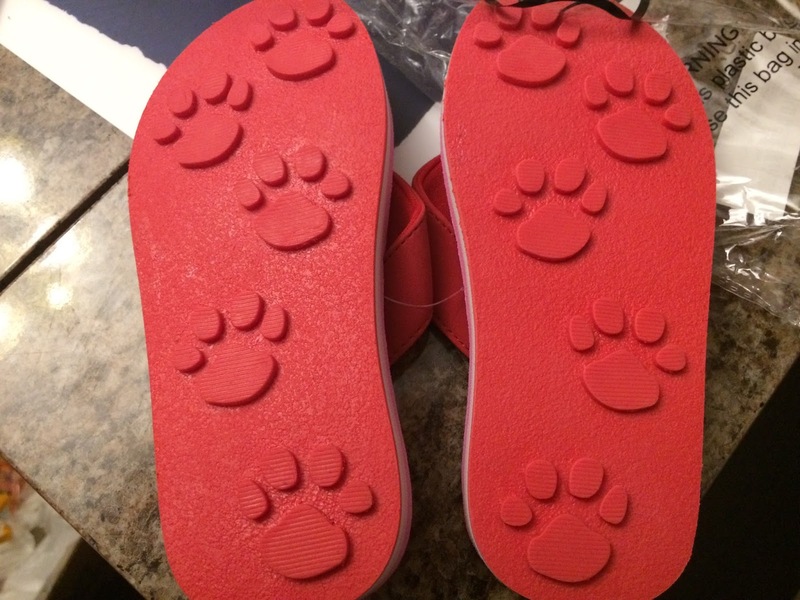 The bottoms of the shoes have very thick imprint material, so whether your child walks through a puddle and tracks with water, steps into sand, or even (for photo purposes only) you let them step into snow with these they will make some great prints! You know the best part of this, is telling your child to make the sound of the animal they are printing. Just be careful, you don't want a tiger to come walking into your yard after finding the prints and hearing your child! Rawr! My daughter's shoes are a bit too big right now but I"m totally okay with that. Reason being is we're heading into Winter, so she can't wear these for at least 3-4 months. Last thing you want is to get these and the child can never wear them. For the record, the black on her toenail is paint...I just noticed that, haha. Animal Traks is definitely a pair of shoes that make for AMAZING stocking stuffers. You can get them in Small, Medium, or Large and for $27.99. Considering how often my daughter goes through flip flops, I know she won't with these and the price is perfect! You pay for wonderful quality and cute designs! You know your child will be the one all the other kids are pointing out to their parents asking for a pair, so get your child theirs for Christmas! Hurry now to ensure you get them in plenty of time for Santa to bring on Christmas Eve! To enter to win your own pair of #AnimalTraks , just go below and enter, that simple! 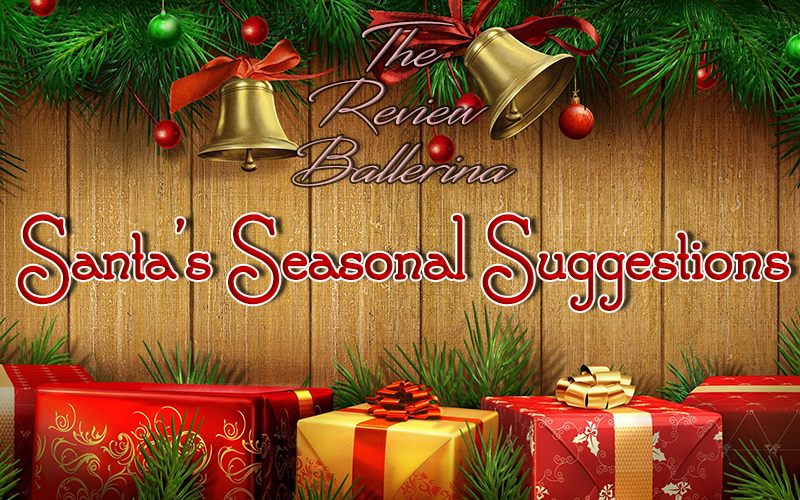 The winner will be announced on December 4th on The Review Ballerina on Facebook as well as the Giveaway Winner Page so make sure to have that page liked and keep an eye out! Winner will have until 11/30/16 from announcement to claim their prize otherwise another winner will be picked! Good luck everyone!! 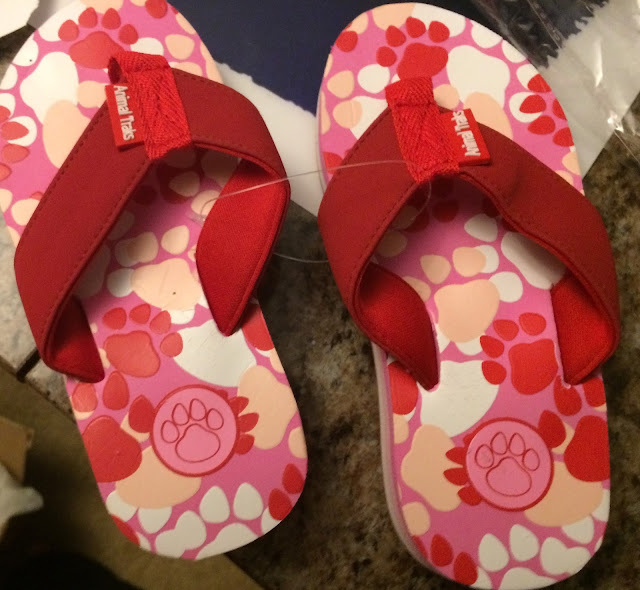 One Pair of Animal Traks Flip-Flops! I checked out there facebook page, so neat. I would choose the bear claws , they come in blue and green. We would pick the T-Rex print! !